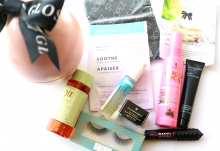 Beauty boxes were the first kind of subscription box on the market and they still remain some of my favourites! 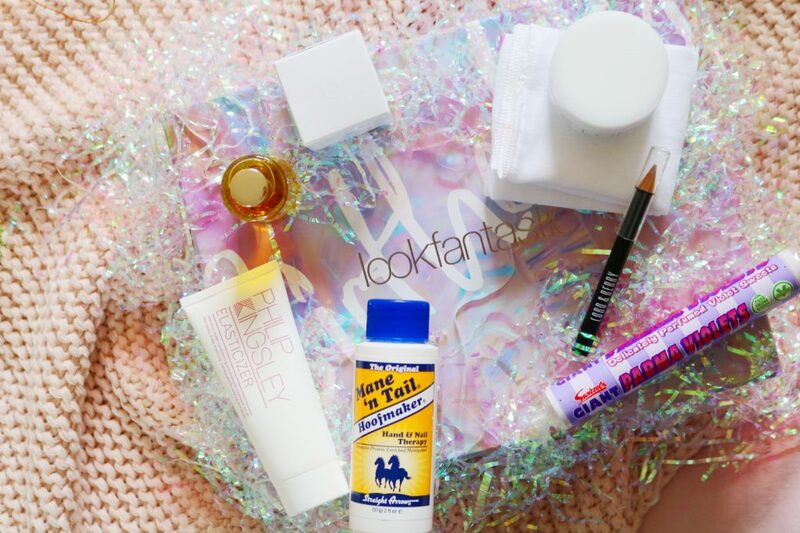 LookFantastic is one of my favourite subscription boxes to receive as they always contain a range of great brands and some that I haven’t tried before. The September box is their birthday box so it is extra special and contains so many fantastic brands! I have tried a few products from this brand via subscription boxes but I didn’t know they made any kind of body products until now. The hand cream can be used all over the body for extra dry areas and it is fantastic. The cream is thick and nourishing but it doesn’t feel too heavy or greasy on the skin. It’s perfect for the upcoming autumn season! You could have either received this ‘revive morning oil’ or the lavender and peppermint oil. I’m glad I received the option that I did as it smells amazing! I’ve tried a few sample oils like this from Aromatherapy Associates and loved all of them as they feel very luxe and indulgent. They also leave my skin very smooth and soft! 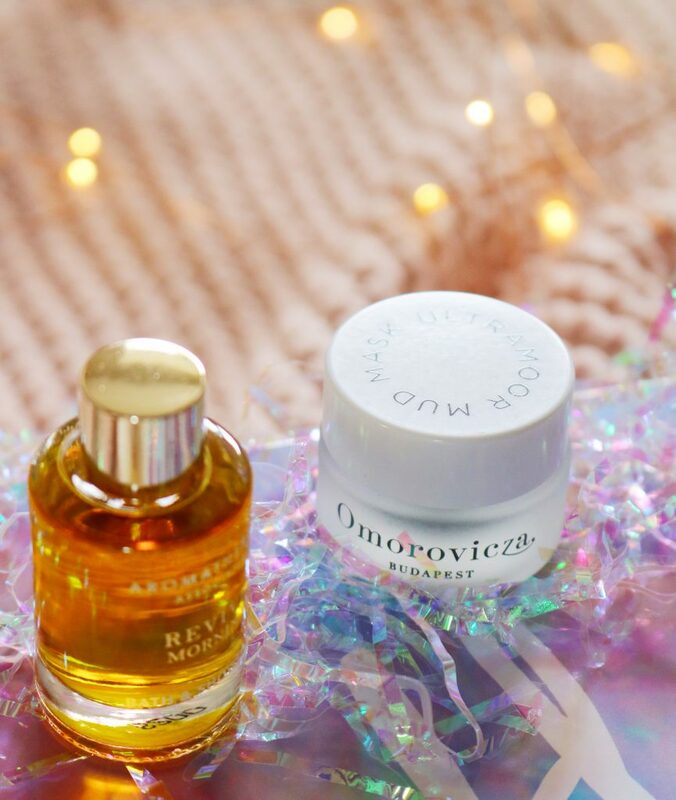 Aromatherapy Associates is a very luxe brand and another that is included in the birthday box is Omorovicza. The mask claims to cleanse, revive and detox your skin while hydrating and protecting the skin. 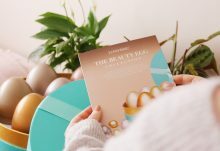 I have tried a couple of samples from this brand in a previous box and adored them so I know I’ll love this mask – I can’t wait to try it. 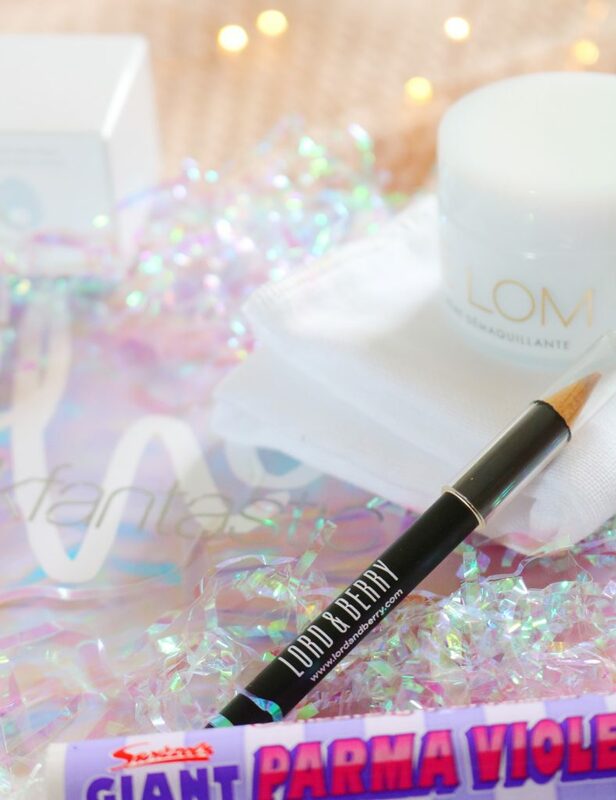 This product is such a famous, cult beauty product that has been included in quite a few subscription boxes over the years so I’ve tried it a couple of times already. It’s a hair treatment to smooth, restore and strengthen leaving your hair less brittle, softer and manageable. I am so glad to have another tube of this as it’s a miracle for your hair! There is an extra item in this months box, a packet of Parma Violets sweets! Sometimes subscription boxes can come with extras like these which I love. Parma Violets were some of my favourite sweets growing up so now they are very nostalgic. The penultimate item and my favourite from the box is this gorgeous Lord and Berry highlighter pencil. It is such a pretty champagne shade that when used in the inner corners or brow bone provides a subtle but gorgeous glow to the skin. This is the product from the box that I’ve been using the most and I cannot recommend it enough. The final item from the box is another very luxurious and high quality item. Eve Lom is a famous and very indulgent skincare brand so I’m glad to receive a product in this months box. 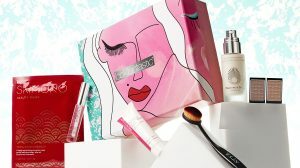 I also received the limited edition LookFantastic X Eve Lom box recently so I’ll review it soon too. It’s a lovely cleanser and the muslin cloth is a nice extra to be included within the box. 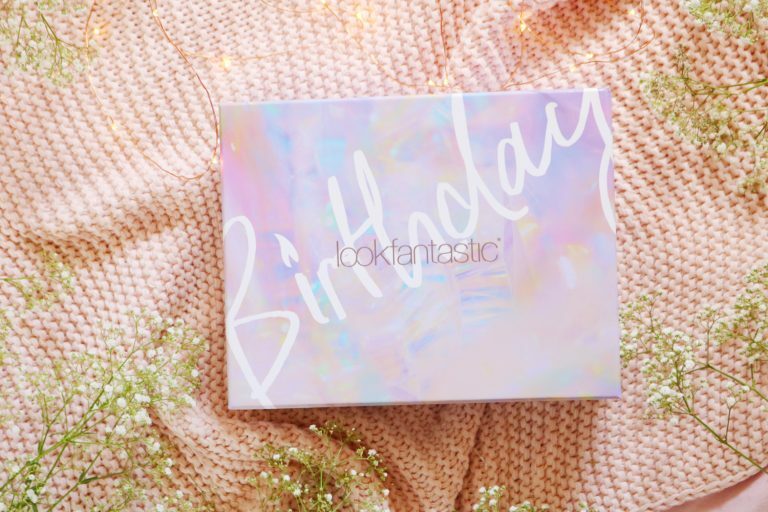 Overall, the LookFantastic birthday box was definitely a hit with so many fantastic products. 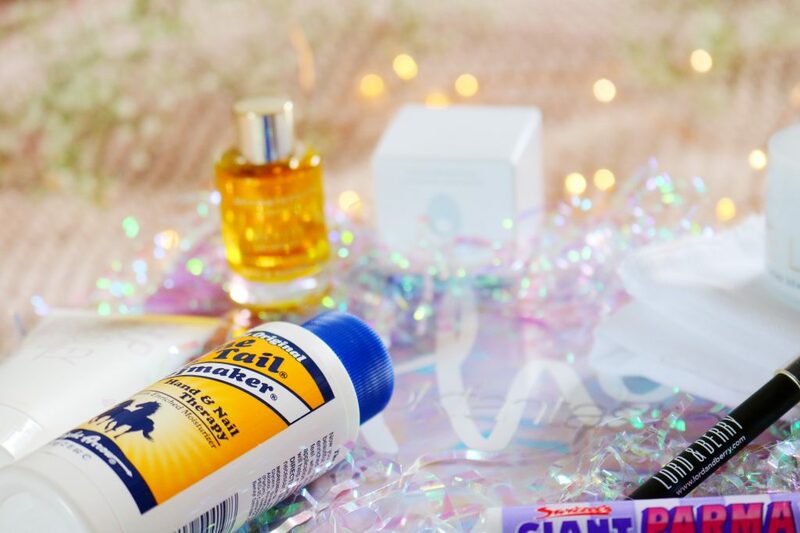 My favourites from this months box have to include the Lord and Berry liner, Aromatherapy Associates bath and shower oil and the hand cream!